I have been very fortunate, I haven’t had any cavities since I was a child. Unfortunately, on my last couple of dental visits my dentist mentioned that my gums could use a little more care and attention. 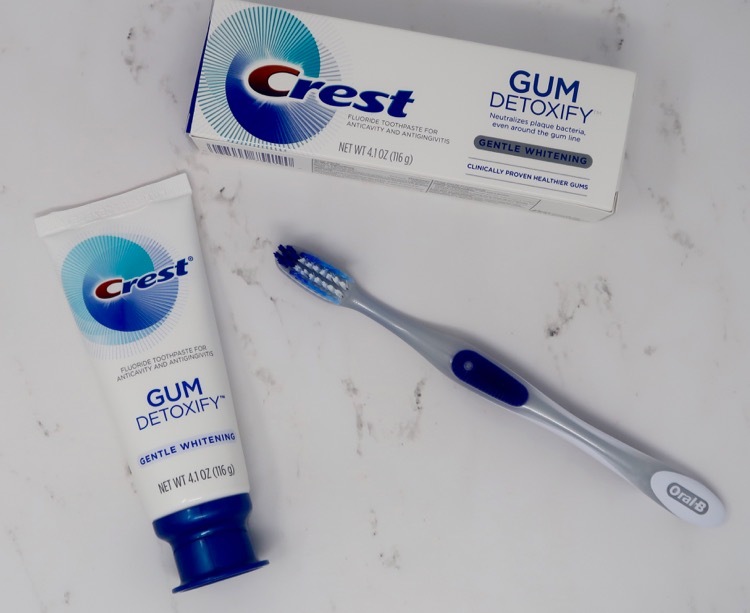 The new Crest Gum Detoxify toothpaste came into my life at just the right time! Maybe your gums could use some extra attention too. 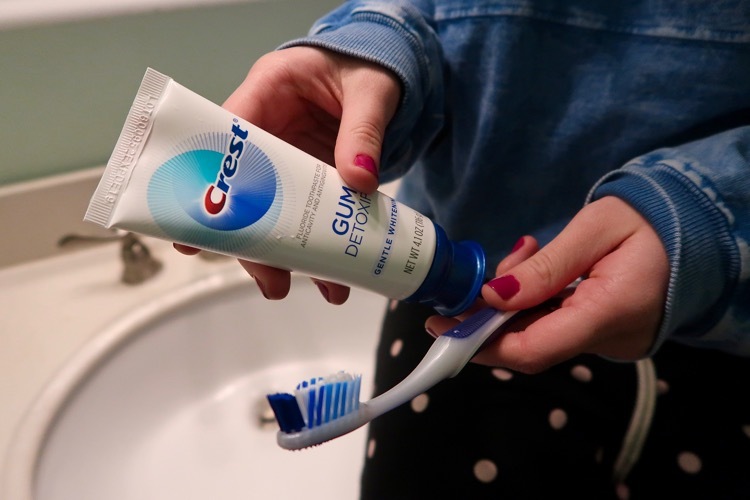 Crest believes if you’re not taking care of your gums, you’re not taking care of you. 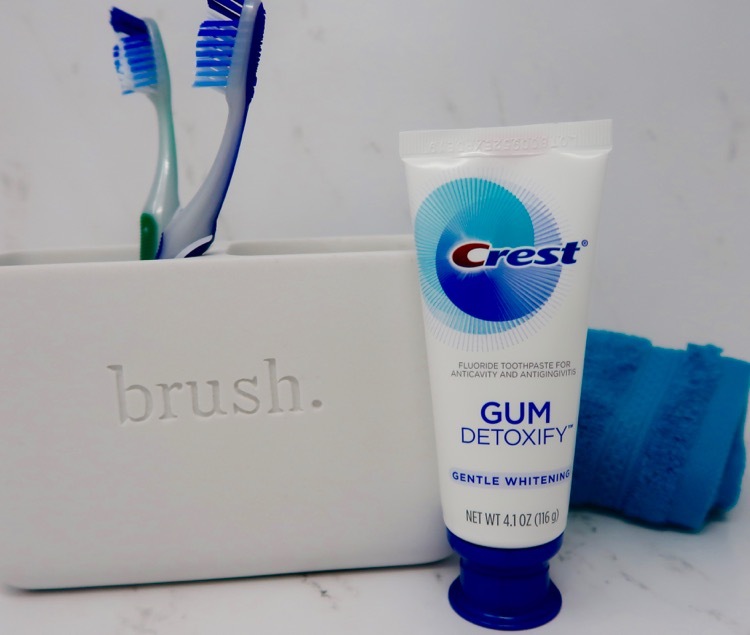 Crest Gum Detoxify toothpaste is formulated with Activated Foam technology that helps to significantly improve gum health by getting in those hard to reach places. The toothpaste neutralizes harmful plaque bacteria, even around the gum line. The minty flavor is great, it makes my whole mouth feel fresh and clean. The toothpaste has a cooling feel to it, I still feel it working even after I brush. You can feel the toothpaste foaming so you know it’s doing it’s best to clean, even below the gum line. 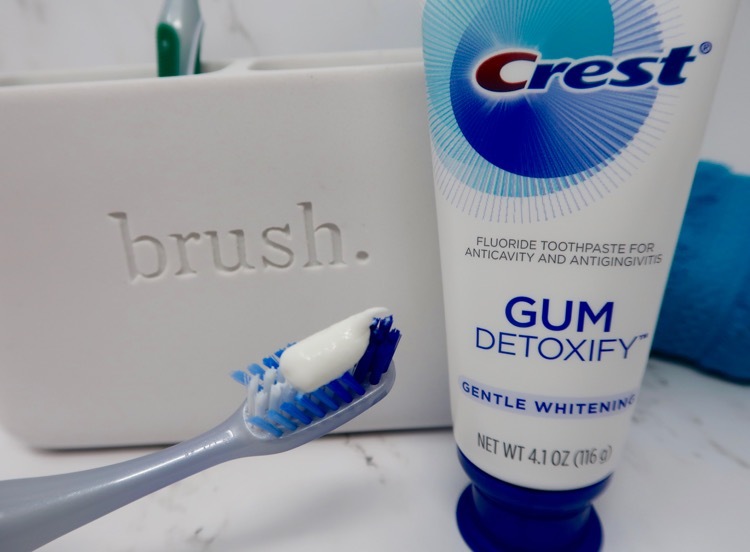 Crest Gum Detoxify even comes in a Gentle Whitening formula, I like when my toothpaste whitens as well as it cleans. 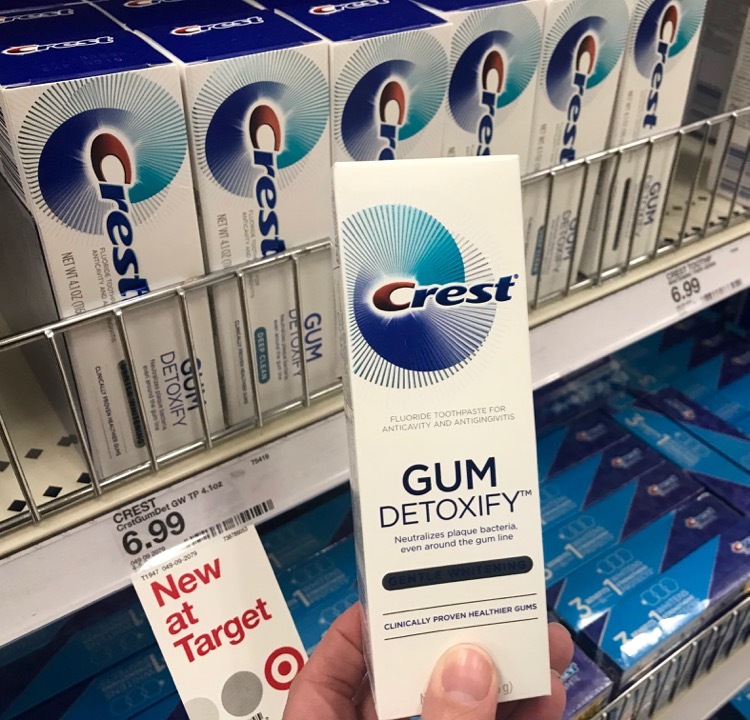 You can find the new Crest Gum Detoxify on the shelves at your local Target store or online at Target.com. You can use the $1.00 off Cartwheel discount offer when shopping at your local Target store to save a little money. 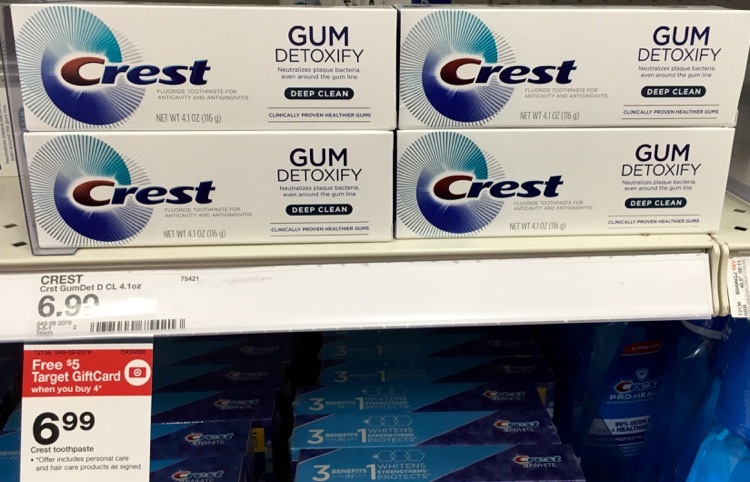 My store carries both the Gentle Whitening and Deep Clean varieties of Crest Gum Detoxify toothpaste. In addition to the Cartwheel savings you can earn a $5 Target gift card when you buy 4 select Crest products. The gift card offer is valid through March 3, 2018. 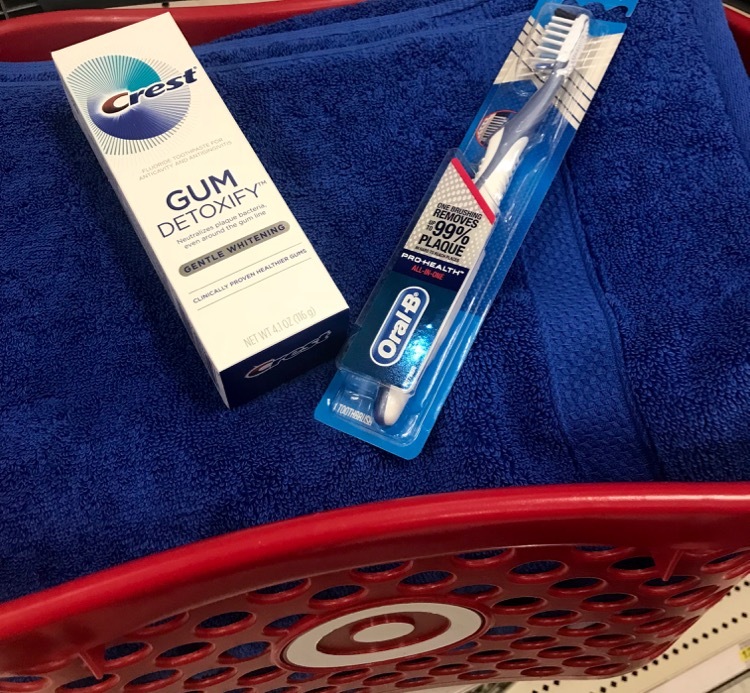 Next time to you head to Target to freshen up your home, make sure you pick up some of the new Crest Gum Detoxify toothpaste to freshen up your mouth and improve your overall gum health. You can impress your dentist on your next visit too.